In 2014, over 2.5 million tractor-trailers were registered in the United States. According to the Federal Motor Carrier Safety Administration (FMCSA), commercial trucks travel billions of miles every year and carry tons of cargo to destinations all across the country. With such heavy use, it is not surprising that commercial vehicles require frequent maintenance. In fact, the FMCSA requires drivers and owners to routinely inspect and maintain trucks to promote safety on the road. However, these mandates are often ignored, leaving worn-out and damaged trucks sharing the road. Federal regulations set forth by the FMCSA state that commercial vehicle “parts and accessories shall be in safe and proper operating condition at all times.” To meet this requirement, regulations also require that truck owners and operators “systematically inspect, repair, and maintain” all vehicles in their fleet. The FMCSA does not state specific time frames for these tasks, as different types of vehicles need maintenance at different intervals. Drivers are also required to keep a log of their inspections and make proper repairs. Additionally, drivers were cited for failing to perform proper inspections or failing to repair parts and accessories more than 312,000 times in 2015. If you or someone you love suffered injuries in a truck crash, improper maintenance may be to blame. Victims have rights that can be protected when owners and operators disregard safety obligations. 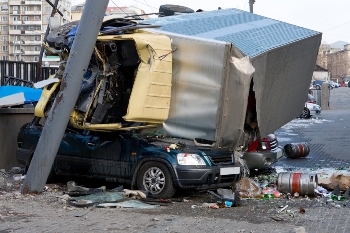 Call the experienced truck wreck lawyers at Holton Law Office today to learn more about your legal options, and schedule a free, no-obligation consultation. Are there special rules that apply to truck drivers?